Last night as a last minute decision, I decided to go for the movie ‘9‘. I had first seen the trailer during the US box office countdown on MBC 2 all the way back in November 2009. The concept looked interesting and I had ticked it off as a movie I would watch in the theater. Recently my sister mentioned that the movie was releasing soon so I looked it up on IMDB. 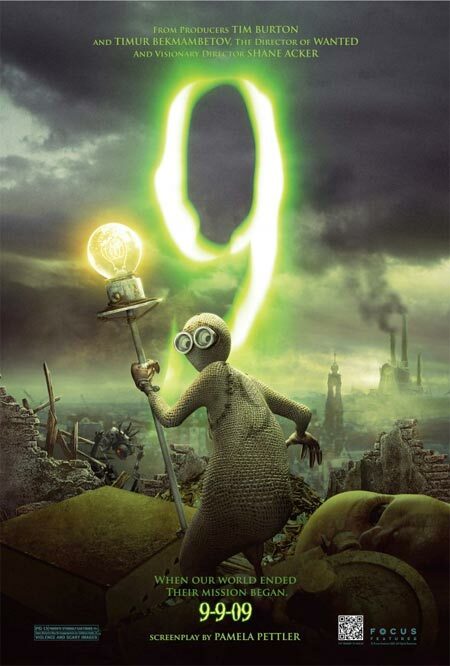 Co-produced by Tim Burton was enough information for me to understand that ‘9‘ is going to be a very different movie and I wasn’t disappointed.